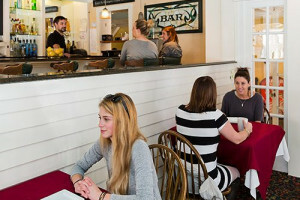 Bar Harbor is the largest community on Mount Desert Island and offers something for every visitor. 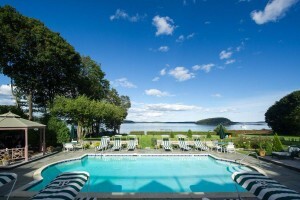 The town has been New England's premier summer resort for over one hundred years. 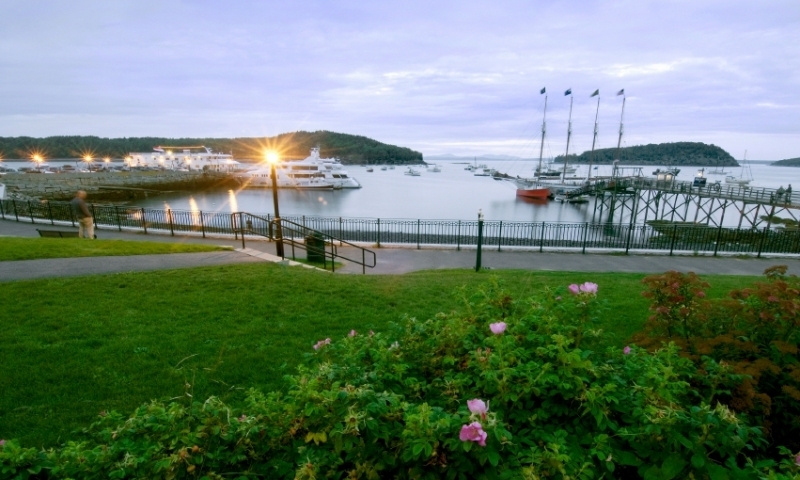 Visitors to Downtown Bar Harbor Maine can find lodging, shopping, dining, entertainment and recreational activities all within walking distance. Distinctive and personal, this exemplary inn has been delighting sophisticated travelers since 2004. Simply beautiful, not fussy. Complete in every convenience and detail. In our 3 buildings on-site, select from well-appointed Inn rooms, Mira Monte upscale suites, and Ashe Cottage suites, all new in 2012. Lots of choices, all are impressive. Oli's Trolley - The Fun Way To See Our Island! Enjoy our fully-narrated downtown tour of Bar Harbor, Mount Desert Island, and the highlights of Acadia National Park. Considered a 'Best of the Best Tour'. You'll love the spectacular oceanside views from our resort hotel and restaurant. In downtown Bar Harbor, among the shops, marina, restaurants and local events. 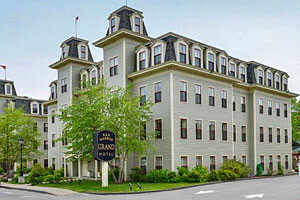 Our downtown hotel truly is GRAND, with first-class amenities, unrivaled service, and right in downtown Bar Harbor. 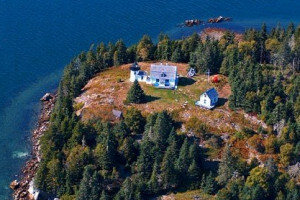 A short walk to the waterfront and minutes to Acadia Park. Love the energy of downtown? You'll enjoy our outdoor patio seating and rooftop bar as you munch on pub-style appetizers and entrees, plus live music Thursday nights. We are just a 5 minute walk to shopping, restaurants and the waterfront. Nightly rates include free continental breakfast, parking and WiFi. Acadia Park is 2 miles away. Select from indoor or seasonal outdoor seating while you enjoy locally-caught fresh seafood and signature cocktails. 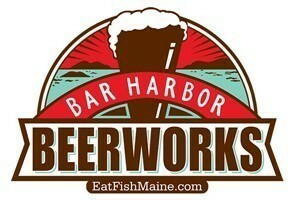 For lunch or dinner in downtown Bar Harbor. 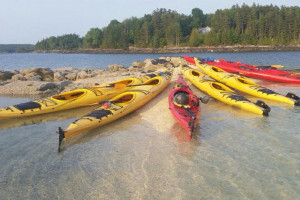 Located just a block from the Town Pier in downtown Bar Harbor, we offer Half-Day kayaking tours along the west side of Acadia, through amazing bays and islands. 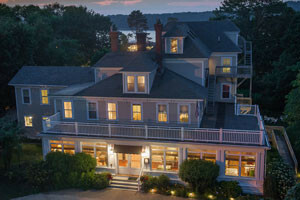 Our premier oceanfront Bed & Breakfast is conveniently located in downtown Bar Harbor. 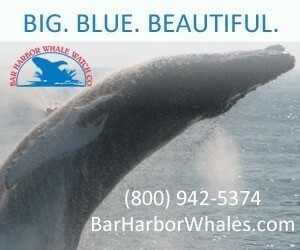 Walk to restaurants, shops & everything Bar Harbor has to offer! Book today! 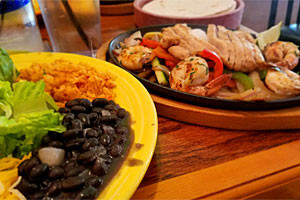 There is no finer Mexican food in downtown Bar Harbor than Jalapenos Cantina. Check out our menu online, including seafood favorites and famous Margaritas. 7 days all year. 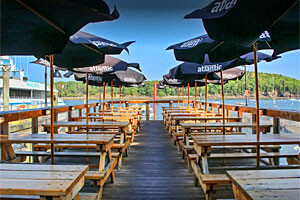 How can you not visit Bar Harbor without a visit to our on-the-marina outdoor dining area. Enjoy us for lunch or dinner, fresh seafood and drink specials. Online menu. Enjoy well-appointed rooms with superior amenities, and seasonal value packages, all just blocks to the historic downtown district. Heated pool and free hot breakfast. 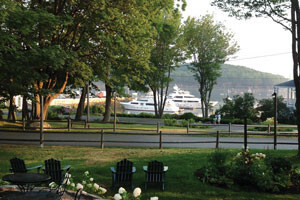 Located only 3 blocks from downtown Bar Harbor, the Saltair Inn overlooks Frenchman Bay and is an easy drive from Acadia. 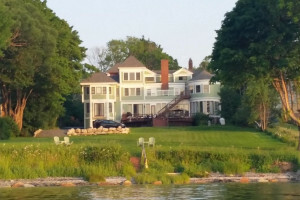 Enjoy romantic luxury at this waterfront B&B. 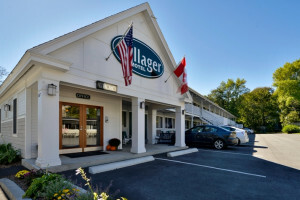 Family-friendly, affordable lodging conveniently located in the heart of downtown Bar Harbor, Maine. Free breakfast, WIFI & parking included! Learn about historic Bar Harbor on an excellent guided, possibly haunted, cultural walking tour of Maine. Lantern Lit walks of historic Bar Harbor. Join us to learn some of the mysteries and haunts behind that history. Suitable for all ages. Call FMI. Green areas and park benches are located along the brick, and granite adorned sidewalks of Bar Harbor Downtown. 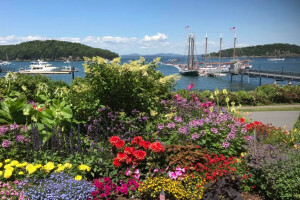 Bar Harbor has a beautiful waterfront with museums, walking paths and ocean side dining. Agamant Park, as well as a number of smaller parks throughout the town, provide plenty of room to enjoy and relax. Beautiful fountains and stonework adorn a number of these settings. A small play ground is available for young children and within a short walking distance, the Glen Mary wadding pool is free for public use. 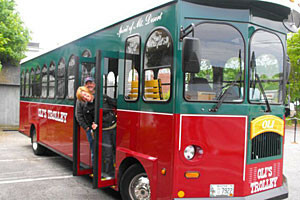 Park your car and travel the island for free on the Island Explorer bus service departing regularly from the Village Green. Play games on the Ball Field across from the YMCA like baseball, basketball, frisbee, skate boarding and more. Small green areas and park benches are found along the sidewalks, giving visitors ample space to sit and watch the bustle and excitement of vacationers. You can also rent scooters or bikes from a few places in the downtown area. The downtown area has shops offering goods for every interest, from apparel and sports equipment, to local Maine goods. Visitors can park and walk while browsing the stores and enjoying the local scenery. 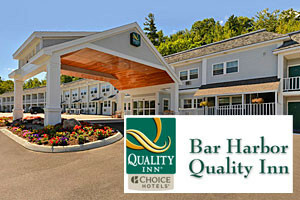 Bar Harbor offers a wide variety of lodging accommodations in all price ranges and styles from bed and breakfast lodgings in mansion style homes to elaborate hotel resorts. Simple cabin and motor style hotels and even camping can be found within a few miles of downtown. The area has many options for meals, from going to the local supermarket and having a picnic on the seashore, to having dinner at a five star restaurant; visitors can find both casual and formal dining for all tastes. The town has two theaters, a number of museums, and many art galleries, for those looking for an educational and enriching experience. There is also a free Bar Harbor Town Band Summer Concert Series that takes place on Mondays and Thursdays at the towns Village Green.